Love them ! Great price ! 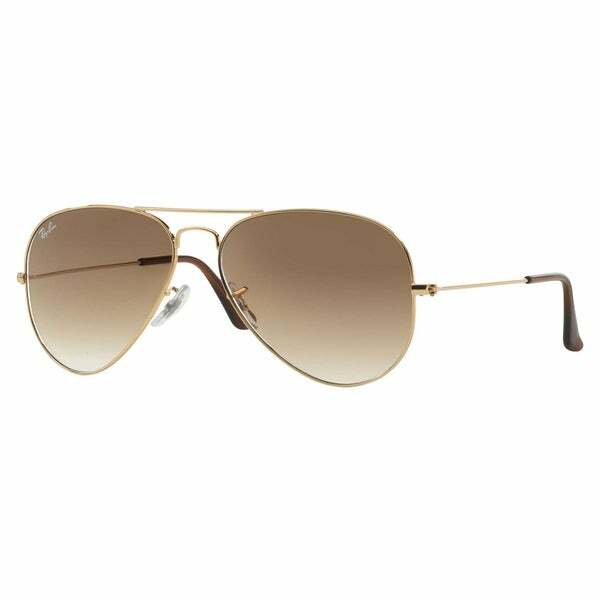 These are the perfect Ray Ban Aviator sunglasses! I was looking for a while to find the right tint of brown. I like the Brown gradient and the gold frames. Very pretty and not too dark. These are fantastic! They are real ray-bans just like the kind you'll find in a brick and mortar store, but they're cheaper from Overstock than anywhere else! They're super cute and exactly what I wanted, but keep in mind they are gradient. So the bottom has significantly less tint than the top. Fine for casual wear, but if you spend a lot of time in the sun maybe not the best choice. I bought this as a birthday present for my bf. He loves it and has been using it any where he goes. It fit his face perfect and the lense color is just totally fit his face. The package arrived fast. I’m very pleasant with my purchase. Awesome glasses. My only complaint is I wish the arms were a bit stronger BUT, with that said, I would buy them again! Yes, they are 100% the real thing. I love these! "Can you confirm the color of the lens? The "title" says brown, but the description says green. Thank you."